Your car’s brakes operate through a hydraulic system, which means that they are powered through varying fluid pressure. Depressing the brake pedal pushes a piston that forces fluid through pipes to a cylinder that is placed near each wheel. The fluid fills the cylinders, which causes pistons to push out and apply the brakes to the wheel. Today’s cars have anti lock brakes that include sensors and a control module to prevent a car from locking up and skidding in the event of heavy braking. Learn more about your car’s brakes by having it inspected at in Dover, NJ. Anti-lock brakes offer many benefits to drivers. The key advantage is that ABS brakes allow you to more safely stop in slippery conditions. Some drivers rely on their ABS brakes to help them stop within a shorter distance as well. Although an ABS system cost does add to the price of repairs, the technology is standard on most vehicles now. Without this system, you may lose money during the resale of your vehicle. The professional technicians at Meineke #156 in Dover, NJ repair and install ABS brakes and we offer silicone brake fluid and mineral brake fluid to maintain your system. Drive safely on icy, snowy, and wet roads any time of year. Most ABS systems have multiple sensors built into the system to alert you when the brakes need service. A light on the dashboard might illuminate or you may feel that it takes more effort to press the pedal when braking. Another sign of ABS brake failure is that the brakes lock up while heavy braking. You may hear random clicking noises or feel your brakes trying to pump themselves. This is an indication that something is not working properly. For ABS brake service, bring your car to Meineke #156 in Dover, NJ for quick and convenient repairs and maintenance by our professional technicians. Signs of potential brake failure can appear suddenly or gradually. In some cases, the brake pedal may go out, while in others you may notice a creeping increase in the time it takes to stop your car. Strange noises while braking can also indicate a problem. Faulty brakes decrease the control you have over your car and can lead to a serious accident. If you notice a problem with your brakes, have your car checked immediately. Contact the car repair professionals at Meineke #156 in , NJ for repairs and maintenance to your brake system. Although some repairs to the ABS system can be costly, it’s much safer to replace a faulty ABS module as soon as possible. 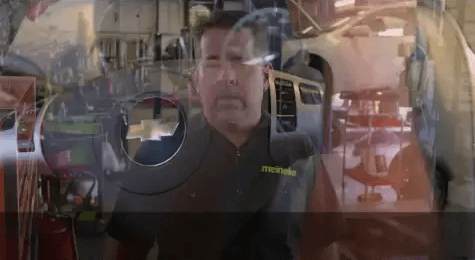 When you hear random clicking noises or feel the brakes trying to pump themselves, you need to come to Meineke #156 in Dover, NJ for professional repairs. When you become accustomed to relying on your anti-lock brakes, you don’t want to be caught without them, especially when the weather gets bad. Let Meineke help keep you safe on the road. Although you can certainly learn how to recognize signs that your ABS brakes need repairs, any repairs should be provided by certified technicians who can ensure your brakes are in good operating condition. Before you come into our store, take a look at our coupons and pick up some savings. 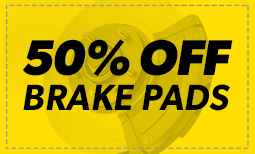 If you are ever in need of brake repairs, come to the professionals at Meineke #156 in Dover, NJ. Keep your passengers safe in every type of driving condition by maintaining your brakes.